Indonesians began casting their ballots at 7 a.m. local time Wednesday in the world’s biggest single-day election. The presidential race has pit the moderate incumbent Joko “Jokowi” Widodo against ultranationalist former general Prabowo Subianto. About 193 million people are eligible to vote in elections that will decide who leads the world’s most populous Muslim-majority country. They will also be electing the nation’s legislature. The polling ends at 1 p.m. local time and preliminary results are expected within hours after a so-called “quick count.” The election commission is expected to announce the final result in May. Most opinion polls have consistently given a double-digit lead to Widodo, but Prabowo told a news conference late Tuesday that he expected to win with 63% of the vote. 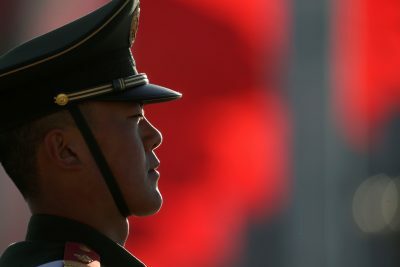 In late February, reports surfaced that police officers in Beijing have been appointed to top positions in grassroots Communist Party cells around the city. This move raises questions about China’s efforts to tighten control of residents and insert security personnel into the daily lives of ordinary people. It also provides insight into the reach of the state’s stability maintenance efforts and the increasingly politicised role of the police. According to the Beijing Daily, the appointments began as a limited pilot in 2012 and authorities plan to expand the practice across the city by July 2019. There are reports of similar placements in Shanghai. Incorporating the police into Party committees is certainly not new. The Chinese Communist Party explicitly authorised the practice in 2003 at the provincial, municipal and county levels. The changes have sometimes produced notable results — evidence from budget reports suggests that the practice has given public security chiefs at the provincial level greater power over financial allocations. What does embedding police in grassroots Party cells actually mean for state control and policing on the ground? Police in Beijing’s Tongzhou district say the changes have made it easier to correct misunderstandings and resistance from residents who do not understand what falls under the purview of the police. As the Ministry of Public Security requires that local police respond to all calls made to the emergency hotline regardless of content, a more informed public might mean fewer calls to police stations about missing dogs, lost cows, or even forgotten social media passwords. This could free up police time to attend to more important matters as well as alleviate tensions between residents and police by lowering the public’s expectations. More generally, the practice also gives the state a much stronger foothold in the community. During the communist era, these ties were strong and fundamental to the success of crime control across the country. At the time, policing was grounded in the individual stations (paichusuo) and depended heavily on work units, neighbourhood committees and the household registration (hukou) system that restricted and monitored population movement. With the reform era came big changes to local policing as cities grew and an increasingly mobile population became harder to control. Crime rates spiked as the old networks of social control lost their efficacy, putting significant strains on grassroots stations and officers. The efforts to incorporate police officers into the local Party are thus best seen as a continuation of past efforts to embed the police in society. In many ways, it follows the same logic of the grid management system that divides cities into management zones and strategically places officers and small police kiosks to help local stations maximise the country’s small per capita police force. Ultimately, the collective goal of these efforts is better social control through stability maintenance — a core priority under President Xi Jinping’s rule. While the state’s use of artificial intelligence and surveillance cameras have received the lion’s share of attention from the international press, the police appointments to Party cells are a reminder that Xi’s China is pursuing a much larger and comprehensive strategy to collect information and manage early threats. But the appointments are also indicative of the growing political role of police in China. Just as officers in the early communist era were charged with rooting out counter-revolutionaries and waging political crime campaigns as agents of the ‘mass-line’, police in reform-era China have become increasingly politicised as the state pushes policies that promote stability maintenance. Since these duties must co-exist with everyday crime-fighting activities that are expected of police everywhere, they can impose a strain on frontline officers that are already struggling with heavy workloads. Although police in democratic countries also engage in political tasks, particularly in the post-911 world, authoritarian states such as China are far more likely to incorporate political elements into core functions of policing. What makes the Chinese case interesting is that we observed a retreat from this role in the 1980s and early 1990s as the nation focused on economic growth and managing the social contradictions of the period. Politicisation has been revived now that stability maintenance has assumed prominence. With more evidence like the embedding of officers in local Party cells cropping up every day, we should expect to see a continuation of this trend. Suzanne E Scoggins is an assistant professor of political science at Clark University. She is currently working on a book manuscript entitled, Policing in the Shadow of Protest.